Swedish writer Inger Frimansson is back with a new thriller, The Cat Did Not Die. After absorbing this psychological descent into madness you may want to rethink how private that summer cottage is. You may even hide your ax. 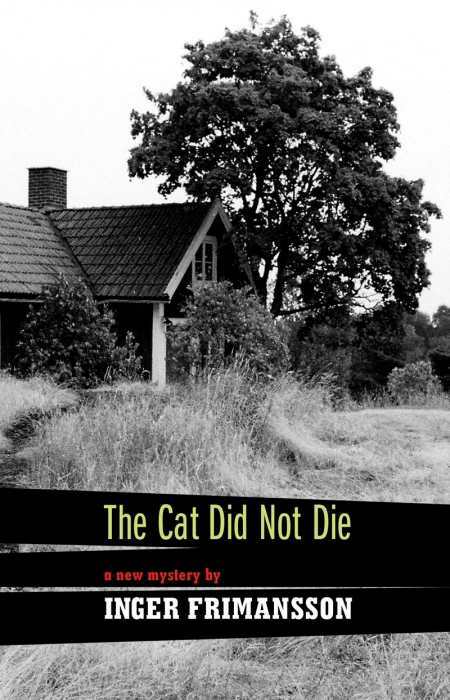 The Cat Did Not Die’s opening chapters follow a developmentally stunted man who lives nearby the summer cottage of a young couple (Beth and Ulf). He does not understand that spying, breaking in, and stealing pillows from them are not appropriate activities—even if he does so for the sake of his missing cats. For his trouble he ends up dead. The narrative picks up with Beth’s voice after she administers the coup de grace via ax to the head. Is it murder? Is it self defense? It seems that Beth is not entirely unwarranted in her action. She felt she was defending herself and her home. Yet soon, stories of her past emerge that hint that little Beth may just be a natural-born killer, someone who was violent right from the start. The ensuing coverup starts a downward spiral for the couple, who have already suffered a few bad years: A late-term miscarriage and possible infidelity cast shadows over their future. It seems that Ulf just doesn’t like, let alone love, his wife anymore. Animals have something to say about Beth, too. A strange cat stalks Beth’s house after the killing. Horses panic in her presence. An elephant goes berserk when she is near. Frimansson is no pulp writer—and her writing is particularly graceful when she is telling the story through Beth’s experience. With Beth as our unreliable guide, the prose is fluid. The story hums with evil portents if only because Beth is deliciously frail and doomed to get everything wrong. Toward the close of the book, Frimansson switches to a third narrator. After the thrill ride in Beth’s head, the prose seems less personal, less menacing. Gone is the voyeuristic thrill of watching someone who is both cracked and cracking. Yet, for the most part, the book offers what a good thriller should—unyielding tension. But this time, our villain is also our victim. Spoiler alert: The cat doesn’t die.